Cortiva teaches the powerful healing combination of skilled massage and a positive therapeutic relationship. Understanding the importance of working with hands, mind, and heart, Cortiva has prepared outstanding massage therapists for more than 30 years. Innovative educational leadership keeps Cortiva at the forefront of the growing complementary health care field through ongoing research and program development. Dynamic faculty members, each a professional in his/her own field, enhance their classes with the expertise that comes from first hand experience. Committed students work together from their first day of school to share the transformational process of this training. Have a health or life issue? Want to learn how to talk with your own immune system? Want to learn the new psychology of healing, the three selves? Talking with your body directly is the easy way to address health concerns, and to find your solutions. 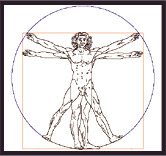 Your inner child and immune system are are the expert on your physical body--not your thinking mind. I love working with people who wish to heal or who wish to learn how to do what I do. If you have high willingness to learn and you practice, you can learn to talk with your immune system in about an hour. 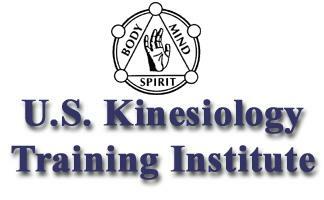 Situated near Chapel Hill, North Carolina, the U.S. Kinesiology Training Institute offers a variety of learning programs in Kinesiology: Touch for Health and the Professional Kinesiology Practitioner Training Workshops. Energy Kinesiology Practice/CE Provider, Complete Decongestive Therapy, Hospice/Medically Frail Patients, ISSA Certified Personal Trainer, Medical and Sports Massage since 1993.